The Annetta Carter Memorial Fund honors Annetta Carter, who devoted the last 40 years of her life to the study of the Baja California flora. 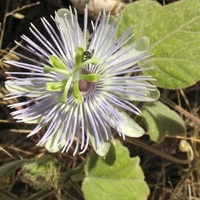 Her special interests were floristics, history, biogeography, and ethnobotany of the Sierra de la Giganta. 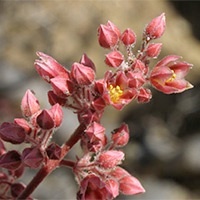 The review committee will consider proposals from members of the California Botanical Society who are conducting or proposing to conduct botanical research on the green plants of Baja California. Studies of populations outside Baja will also be considered if they elucidate problems in Baja California. Funds may be requested for research, travel, supplies, and minor equipment. Requests for major equipment (>$500) will not be considered. Projects should be designed to result in a professional publication in a scholarly journal, preferably Madroño. The proposed budget should not exceed $1,000 and applicants are encouraged to prioritize budget items as only partial funding may be available. To apply, send a resume and 1-2 page description of the goals, methods, and significance of the proposed project. Proposals should also include a budget and budget justification that details what the grant funds will be used for. Applicants should also provide evidence that required permits will be obtained before the grant is awarded. Requests for travel funding should adhere to the following guidelines: (1) land transportation in private vehicles should be stated in mileage, using the rate of $0.545 / mile, and (2) while in Baja, a maximum per diem of $100 for lodging and $50 for food will be awarded. For travel within the U.S., estimates for actual expenses should be made (meal allowance may not exceed $50 / day). Previous recipients of Annetta Carter Fund awards should include an additional brief (one page or less) summary of work accomplished with prior support. Progress on previously funded research and evidence of effort to seek external funding will be considered favorably in review of proposals. 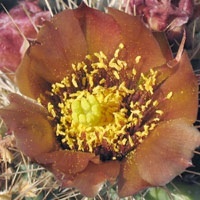 Recipients of grants should acknowledge the Annetta Carter Memorial Fund of the California Botanical Society in any publications that resulted from research, travel, or equipment supported by the grant. Deadline for receipt of applications is December 31, 2018. Proposals will be peer reviewed.